Every year we let our users vote for their favourite shops. Here is the winner in Shop of the Year 2018. We want to thank all consumers for voting, and congratulate the winner! 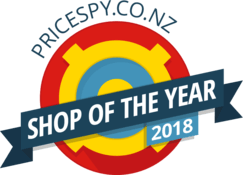 All shops on PriceSpy are nominated. The shop that gets most votes wins Shop of the Year. When voting is in progress, we show the most popular shops on this page, but in a random order.